The next storm system is moving northeastward and this will produce some light to moderate snow upstate NY Northern New England late tonight and Tuesday. For our area it is all rain. 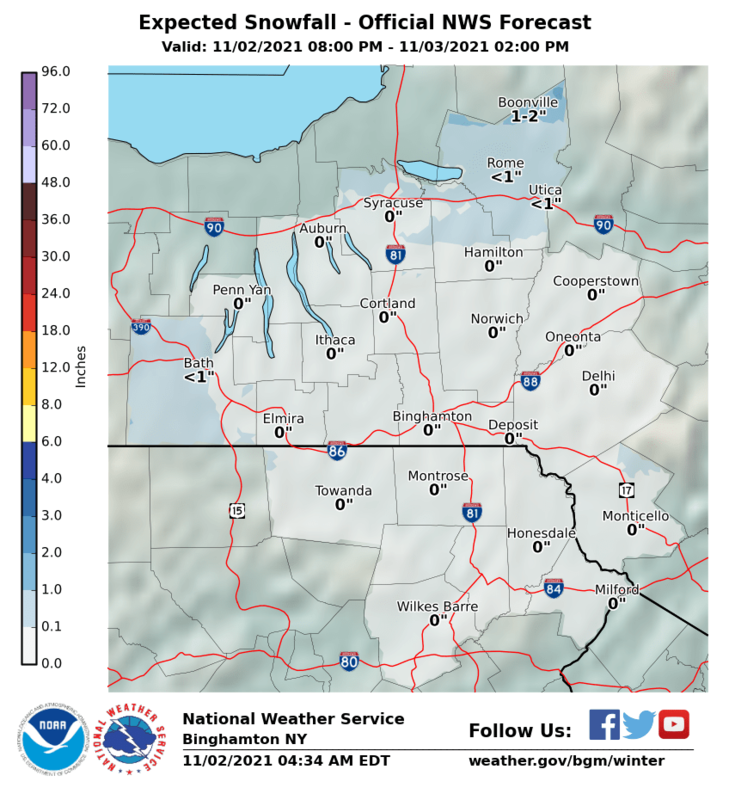 The closest snow will be in the Catskills northwest and northward. 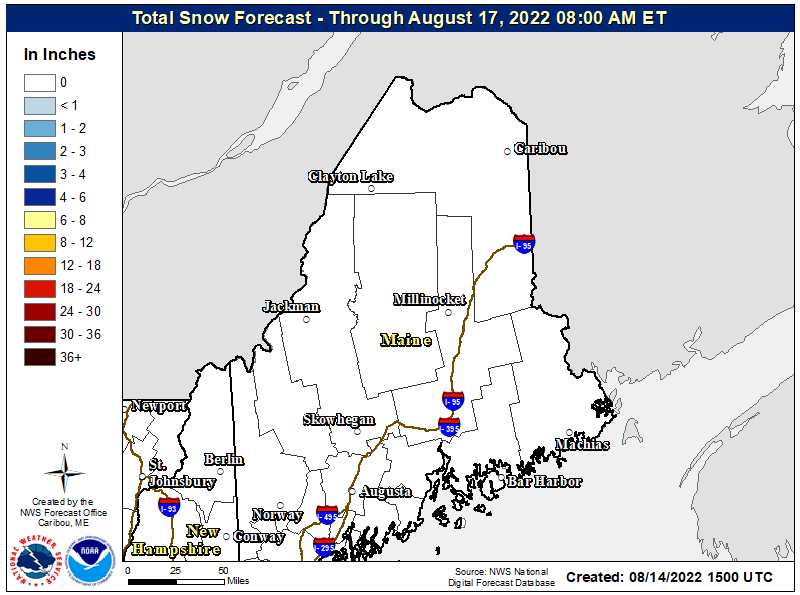 Amounts of several inches possible with higher amounts that will be elevation driven to some extent. 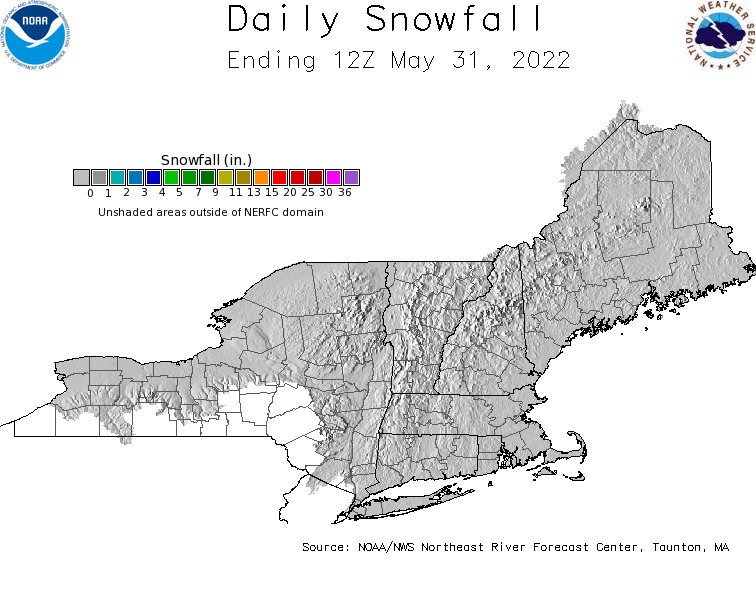 Weather models this afternoon have gotten a bit more bullish on snowfall but we are leaning to the idea put forward by the GFS positive snow growth map which takes into account sleet and melting. These amounts match up well with the National Weather Service forecast map above. Next on the table is the system for Thursday night into Friday. There will be colder air to play with ahead of this. The GFS is the coldest and furthest east of all the models with the surface low and the furthest west with the high to the north. That high will be important as it pins cold air in fairly far to the south in New England. If the high to the north is further southeast as other models indicate than the chance for frozen precipitation be it snow or sleet will be reduced considerably. Right now the risk lies in elevated areas in Northwest New Jersey, Northeast Pennsylvania and in Connecticut north and west of I-95 and especially north of route 84 in the Hudson Valley. 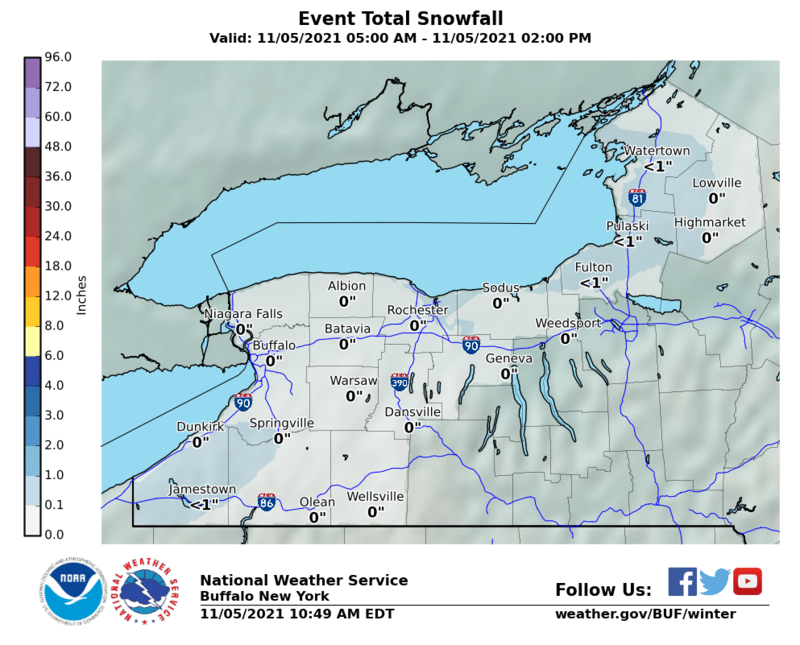 You may have to go north of 84 for any kind of accumulation but that is an early guess at this point. Snow and sleet from this may also extend southward into the mountains of West Virginia and Northwestern Virginia. Obviously it is early here so we are still in observation mode here. Please be advised that these are National Weather Service Forecast Maps and they auto update. Each office may update at different times and some offices are slower to update then others. Maps are usually updated before 5am and & 5pm however they may be updated at other times depending on forecast conditions. These are not my forecasts.